Whenever you choose to run the program of python get current date which we created above then you will observe that the result will be something like what is mentioned below. This particular date contains all the related information like the microsecond, second, minute, hour, day, month, and year. This module can also help in returning a number of different information that is related to the object. 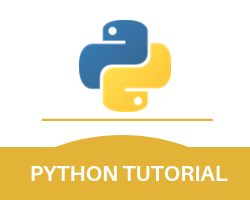 If you wish to return the name of the weekday and the current year then the python datetime example for this is mentioned below. This particular class also has a number of other parameters and those parameters are the second, minute, hour, microsecond, tzone, and many other. All these Python datetime now parameters, are rather optional and if you do not enter a value for these parameters then it will be automatically treated as 0 apart from the tzone which will have a default value of none. For your ease of learning, we have made up a list of all the legal format codes that you will need while using this programming language. That list of the legal format codes in strftime python is mentioned below. With this, we finish the python datetime now part of our python tutorial.